hello folks!!! this post is mainly for those who want to learn about photography. we get a TON of questions regarding photography from people who want to learn how to shoot. so here's your chance to learn from one of the best (i'm not talking about myself as i still have a lot to learn myself). if you are serious about wanting to learn how to get some kick-@$$ images, what a better way than to learn in one of the most beautiful places on earth... HAWAII! my good friend and national/utah-based photographer extraordinaire, jonathan canlas, will be teaching a workshop. what makes jonathan so cool? along with being a really great guy and a blast to hang out with, he shoots 100% film. 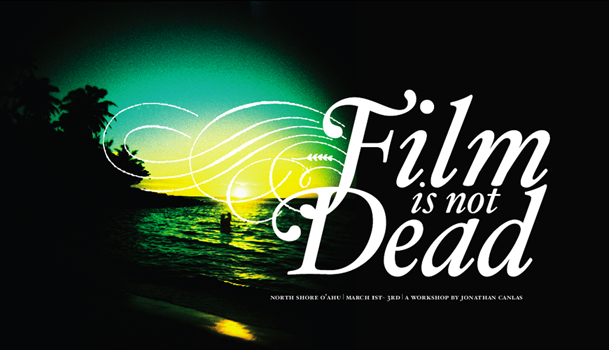 12 lucky photographers will get the opportunity to attend "film is not dead: a workshop on portrait & wedding photography in film" on march 2nd-march 5th, 2008, on the beautiful north shore of oahu. but hurry, there's only ONE SPOPT LEFT! as a digital photographer, why am i attending??? hawaii is a good enough reason on it's own, but i'm definitely interested in j. canlas' unique way of posing and composition and how he creates magazine-worthy images. plus, i'm definitely up for the challenge of shooting without "chimping." and of course, reading the menu for the workshop makes my mouth water...mmm... macademia pancakes with coconut syrup... for more details, check out the workshop blog!